Trulia is an MLS Aggregator that allows buyers and sellers to list homes and find out what local homes are available for sale. Trulia aggregates home listing data from thousands of private MLS databases across the United States. By making this otherwise unavailable information to consumers, the company creates a positive value-added experience with local results for a vast majority of available listings. Trulia generates revenue with ads using Zillow Group’s Premier Agent and Premier Broker programs. Trulia does not offer paid services to consumers directly, instead, portal generates revenue with ads and referral fees from real estate brokers as part of the Zillow Group. Trulia is a Zillow Group subsidiary with similar search results, data, and options available to consumers. 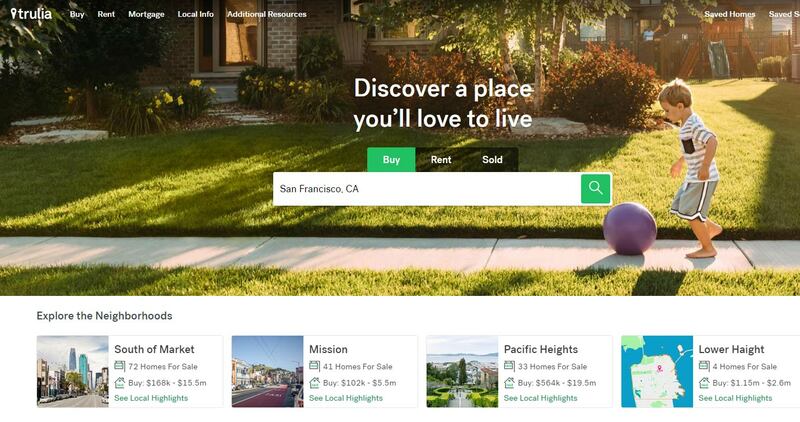 Trulia is an Internet MLS aggregator, where brokers and consumers may post listings independently. Until recently Trulia was an Internet company, not a real estate broker. In 2018 Trulia’s parent company Zillow Group began to operate a pilot program called Zillow Premier Broker. This program operates as an actual real estate broker in order to collect hidden referral fees from any leads originated via Trulia. Anytime consumers use Trulia and provide this portal with private information, this information is then sold for referral fees to a select group of brokers willing to pay for it. This fee is backloaded and paid only if the consumer is persuaded by the real estate agent to enter into a representation agreement. Trulia’s original revenue generator is called Premier Agent, this is an ads-based process where agents advertise their services and consumers contact an agent themselves. Unlike Premier Broker leads pipeline, Premier Agent process is not “blind.” When consumers use Trulia, it is impossible to tell if private information is sold to Premier Brokers and what brokers get to see it. When using Trulia, consumers should be careful not to leave any private information such as email, name or a phone number.